NEW YORK — Argentina’s new government began negotiations with hedge fund creditors Monday, amid reports it wants them to write off up to a quarter of their bonds to settle a long-running dispute. Finance Secretary Luis Caputo arrived Monday morning at the New York offices of the U.S. court-appointed mediator Daniel Pollack in a fresh effort to end a debt battle rooted in the country’s $100 billion default in 2001. Major Argentine newspaper Clarín said the government, which took office in December, planned to propose a 15 percent cut in the debt. Business newspaper El Cronista meanwhile reported that the reduction sought would be about 25 percent. “We don’t expect any news today,” said Caputo as he arrived for the talks. Argentina’s access to global financial markets has been tightly restricted for years due to the dispute with the hedge funds demanding to be paid the full value of the bonds they hold, even though some 93 percent of the country’s creditors accepted hefty write-downs of their bonds in debt restructurings years ago. In 2012 a New York court backed the claim for 100 percent payouts sought by the hedge funds, NML Capital and Aurelius Capital Management. Buenos Aires said the funds bought up Argentine debt cheaply around the time of the default and then refused to take part in the restructuring. Kirchner, though, was replaced in December by a new conservative president, Mauricio Macri, who is seeking warmer foreign relations and has vowed to strike an agreement. Even so, a deal would challenge the country’s finances. The hedge funds together with other so-called holdouts are claiming about $10 billion in total, which the court ruled had to be paid before Buenos Aires repays any other creditors. On Friday a group of New York banks agreed to lend the country $5 billion to strengthen its foreign currency reserves, hit in part by the Macri government’s move in December to devalue the currency. That would increase the reserves to around $30 billion, still relatively small for the size of the Argentine economy. 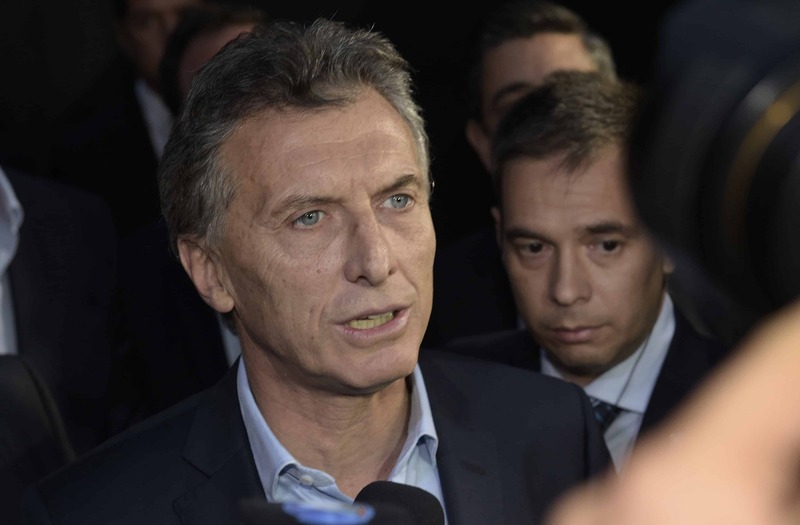 Macri has rolled back various protectionist policies of his predecessors, lifting currency and export controls and eliminating electricity subsidies. He said such measures are necessary to make the economy competitive. His critics warn they will hurt poorer Argentines.